There’s a lot going on these days with photography in Lima. 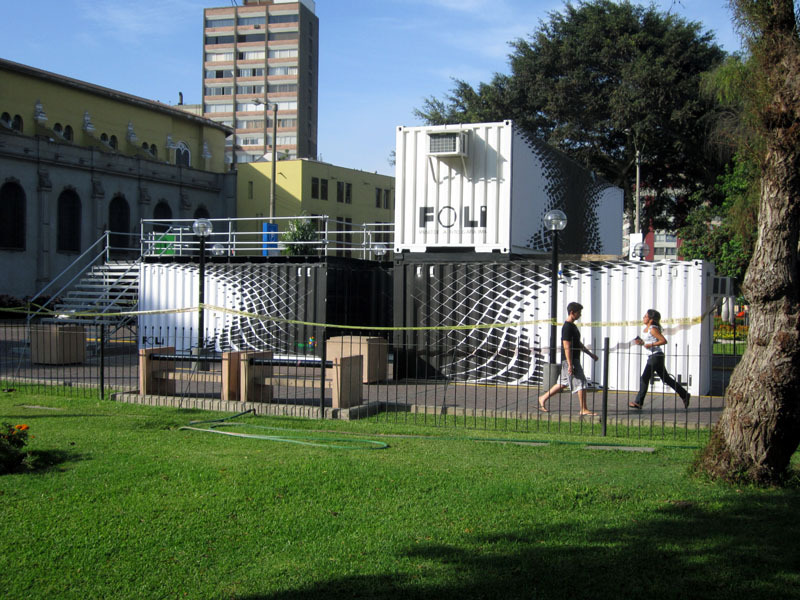 There will soon be a museum dedicated to photography in the city, FOLI (Museo de Fotografia de Lima). They don’t have a permanent home yet but they are very active in public outreach activities. For the last three weeks they’ve set up four shipping containers in a busy park and organized various activities around the site. 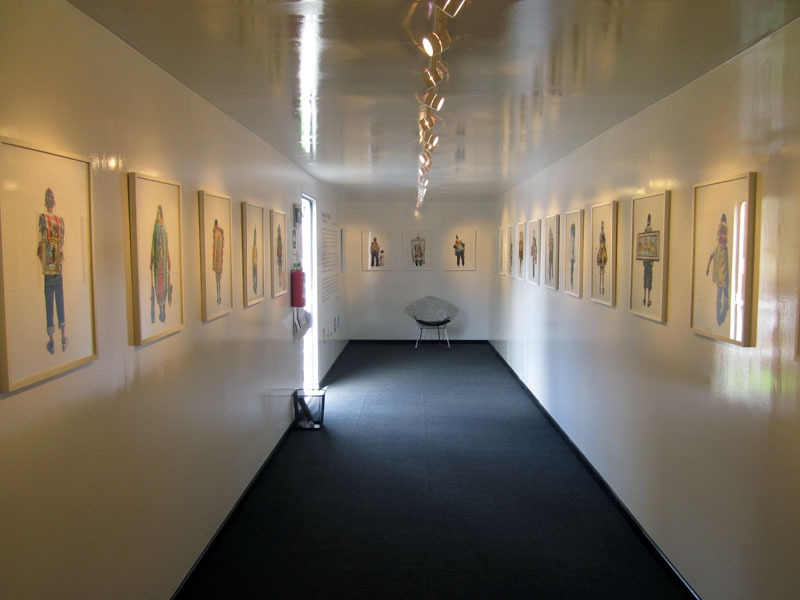 As part of the installation there was an exhibit of work, The Road to Tepeyac by Alinka Echeverria, showing religious pilgrims in Mexico. 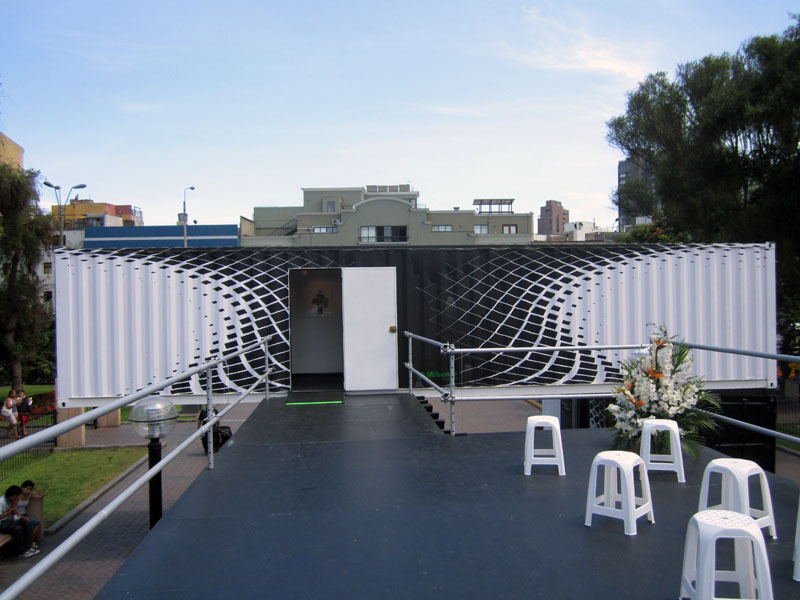 A shipping container does not make a great exhibit space but I will say that a ton of people saw this exhibit by dint of being in a heavily trafficked park. Apart from the exhibit, there were lots of ongoing activities, the nicest of which were outdoor, evening slide shows (Lima’s late summer climate being perfect for outdoor stuff in the evening). FOLI’s facebook page has more photos of the installation and ongoing updates about their activities. This entry was posted in Contemporary Photography, Thomas Locke Hobbs Blog and tagged alinka echeverria, Contemporary Photography, Dint, Echeverria, Exhibit Space, Facebook, Foli, Fotografia, lima biennial, Mexico, Miraflores, Peru, Photographer, Photographers, Photographs, Photography., photos, Public Outreach Activities, Religious Pilgrims, Shipping Container, Shipping Containers, Slide Shows, Summer Climate, Uncategorized on April 10, 2012 by thomashobbs.